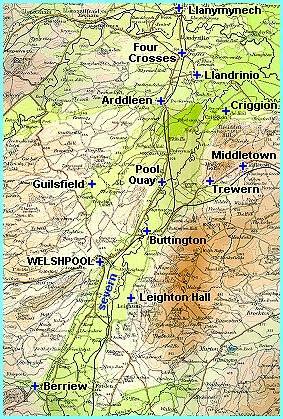 As you can see from the map, the valley of the River Severn is a major routeway from the midland plain of England to the uplands of mid Wales. In Victorian times a canal, an important road and a railway followed the valley floor. Welshpool developed as an important market town in this valley. Outside the town, most people in Victorian times worked on the land in some way - probably on land belonging to one of the major estates like Powis Castle. Education brought new opportunities for children, making them more aware of a wider world outside. Transport improvements linked the valley with larger cities and with places further afield. These were just beginning to offer the possibilities for wider travel.